Aja pulls out all the stops in this number: Afro-Carribean beats, dance, Santería references left and right, and a dramatic homage in costume to Marie Laveau herself. Consider me SHOOK. And all those who abet him. Friday the 13th at 11:59PM. Does Donald Trump piss you off? Are you concerned for the safety of the nation, and the world under his rule? Do his paid lackeys and sycophantic band of liars make you want to scream? Well, DO SOMETHING about it. First do something by VOTING regularly. Make sure you’re a registered voter NOW. Do not wait. 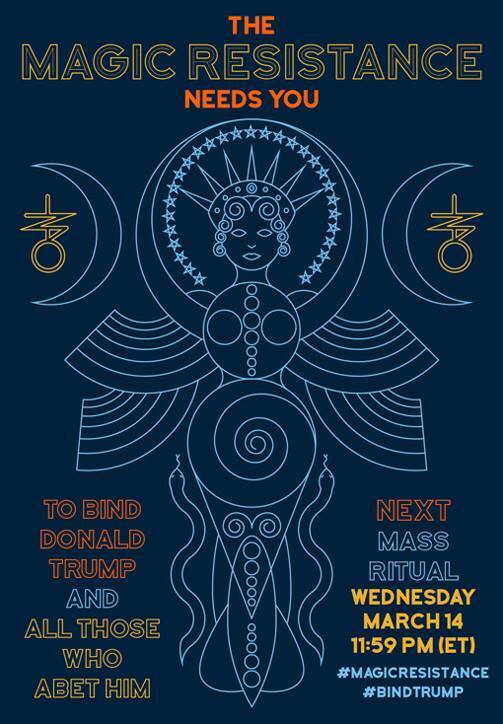 Second, if you feel so inclined, participate in this mass ritual which takes place at the same time monthly around the world. 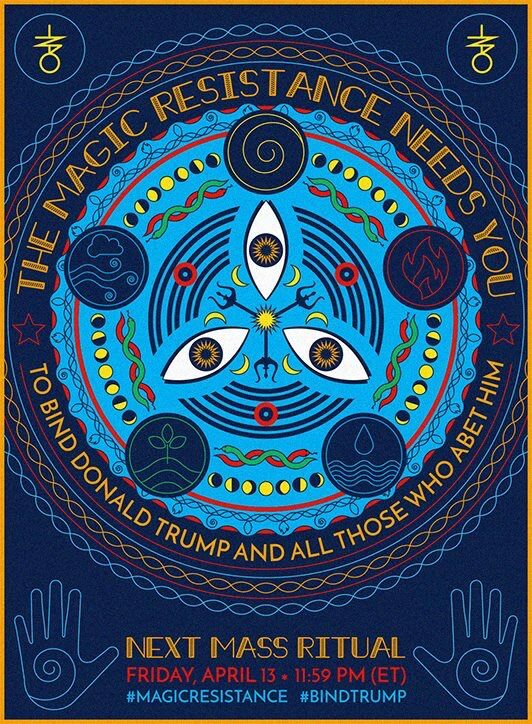 Literally thousands of magical workers are participating in this, myself included. I firmly believe it is working to keep Trump’s chicanery from creating a full on worldwide disaster. You can find the rite, and its variants, here. Apart from the real-world effects this spell may be producing, it also gives me a chance to perform a monthly cathartic psychodrama to purge my poor soul from the idiocy that spews forth daily from the White House. Being a more “patriarchally” minded practitioner of magic, my opinion of Wicca has not always been a positive one. My rigid and narrow-minded Christian upbringing must have confined me to believing in a religion as valid, only if it had a mysterious and nebulous ancient origin. Wicca being a modern development (Thank you Mr Gardner), I took issue with what I perceived as artificial tradition. I still don’t have much experience with Wicca apart from a bi-annual ritual gathering I attend, but I do appreciate it more now as I see it has inspired a new and growing revival of a modern brand of witchcraft. It is bringing young people back to nature, empowering women and the LGBT, and liberating society from the prison of the Church. BBC Radio 1 released the short documentary below, interviewing five modern witches in Britain, who discuss the rising popularity of witchcraft in the West. We may truly be experiencing the dawn of a new Withcraft Revival, and that is definitely a good thing.